Java support on our computer (kinda’ mandatory). An integrated development environment (IDE) It is basically an application in which we write our code and that we use to compile and execute it. Or, we can choose the most popular free IDE for Java development: Eclipse. Git is a versioning system that we can use to get the sources and we can experiment with it and create our own version. To write and execute Java programs/applications, we only need the Java Development Kit installed. All other tools that i have listed here are only needed to make our job easier and to familiarise we with a real development job. Scroll down this page and click here the download button here we can download it. 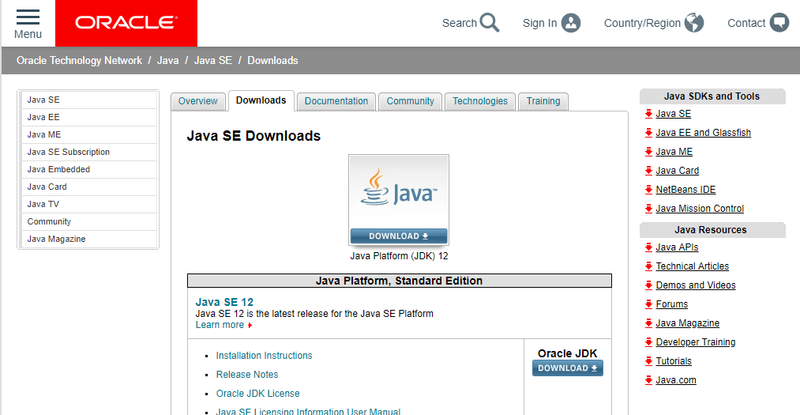 After downloading the JDK the next step is to install it. Just double-click it and click Next until finished. This works for Windows and mac-OS. The JDK is installed in a specific location. In Linux systems depending on the distribution, the JDK install location varies. My preferred way is to get the *.tar.gz from the Oracle site that contains the full content of the JDK, unpack it, and copy it to a specific location. Also, my preferred location on Linux is /home/iuliana.cosmina/tools/jdk-10.jdk. In Windows, it is C:\ProgramFiles\Java\jdk-10. In mac-OS, it is /Library/Java/JavaVirtualMachines/jdk-10.jdk/Contents/Home.